Click on the Google maps button to link to a more detailed street map and birds’ eye view of the venue courtesy of Google. 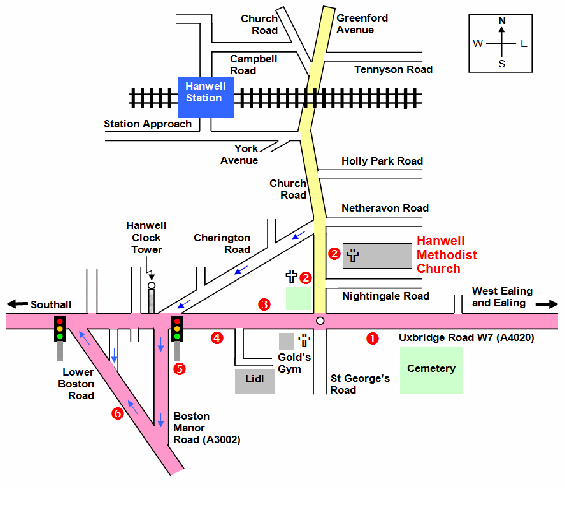 Numerous bus stops are located on the Uxbridge Road. The E3 bus stops outside the Church on Church Road.